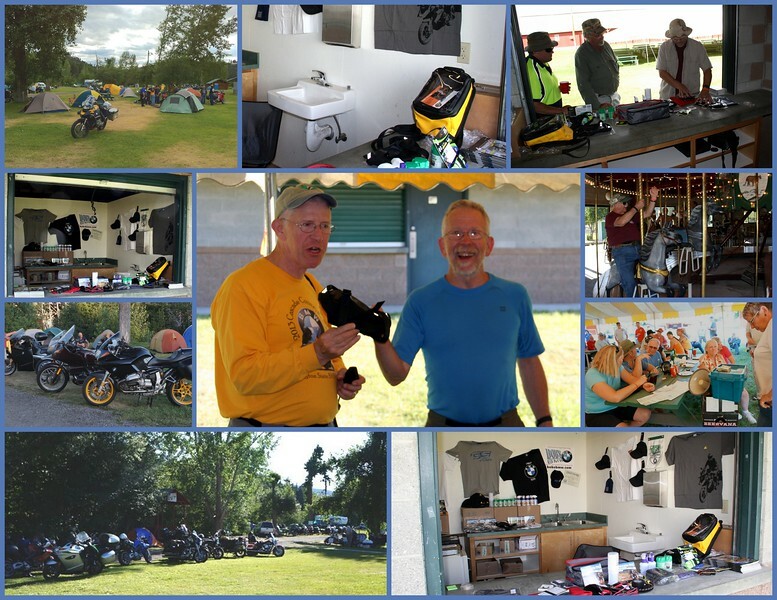 The Washington State BMW Riders annual rally in Republic, WA. These are the door prize winners as well as a few pictures submitted to the club by other riders and club members. The Giant Loop Tank Bag winner could not be present to pick up the cool tank bag so we delivered it to their home in the Winthrop area where they were without power after the recent forest fires. They came home to find the door prize delivery crew had been there.